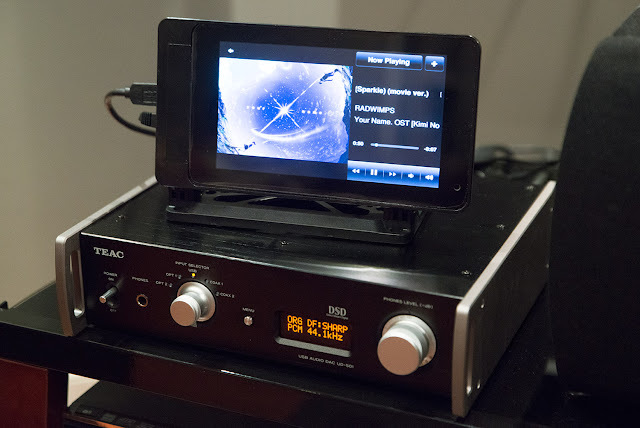 In 2015, ESS revealed its latest generation of DACs at the CES show. One of the interesting new products revealed was the SABRE9018Q2C, a tiny 5mm x 5mm SoC claiming very high audio quality out of an integrated DAC/headphone amp operating with low power along with the ability to decode a wide range of sample rates. I was contacted by ZugZugOrc on Computer Audiophile to have a look at a recently released USB DAC he wanted to buy for some measurements based on the above chipset. So we made an arrangement where he sent the package to me to have a look at and subsequently after I'm done, I would send it off to him to use :-). Thanks Zug for the opportunity! Here's the device - the SMSL iDEA (can be found on Amazon for ~US$86 currently), a mini USB powered "stick" based on the ES9018Q2C "audiophile-quality" mobile DAC capable of accepting up to 32/768 and DSD512! SMSL stands for "ShuangMuSanLin" Electronics Company based in Shenzhen, China. I was sent the black one, but the device is also available in red. The music being played is the soundtrack from Japanese anime Your Name (Kimi No Na Wa). Saw it with the family last week - great flick! A few weeks ago when I described the building of the Raspberry Pi 3-based music streamer with touchscreen (I'll just call it "Pi Touch" in this post), I promised that I was going to publish some measurement results. 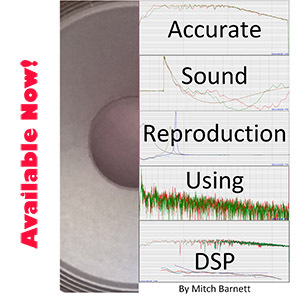 For the post today, I thought it would be interesting to take a step back from my usual measurements and various objective explorations and spend some time thinking about the "audiophile" hobby; you know - the big picture. 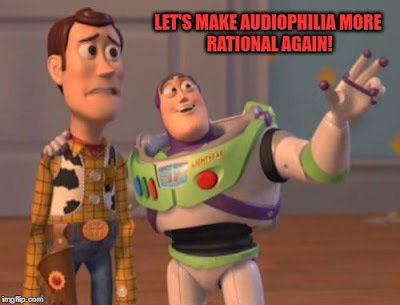 For some, the idea of "rational audiophilia" as suggested in the image above might sound oxymoronic. After all, anyone who spends thousands of dollars and hours upon hours of time on audio toys in an obsessional fashion is at the very least "neurotic" and somewhat irrational. One could spend his/her time working hard to make more money, spend time with family, read a good book, enjoy a play, take a vacation, go exercising... All of which depending on the situation potentially more worthwhile and healthier. That's of course the recently released Oppo Sonica DAC. A "hi-fi" USB, S/PDIF, ethernet, WiFi, Bluetooth digital player with DLNA streaming capability, part of the Oppo Sonica "family" of audio devices. The only other device with this moniker currently being the Sonica Wi-Fi Speaker, capable of 24/192 streaming. Coming later this year apparently is the larger Sonica Grand.